Have you been thinking about taking your life on the road but are not sure how? Wanting to find a lightweight travel trailer for sale that lets you bring all of the comforts of home with you? If so then you need to come to your local Airstream dealer in Franklin, WI and see one of the many new and used Airstream campers for sale. Ewald's Airstream of Wisconsin had many new and used Airstream for sale with everything from an Airstream International Signature, to an Airstream Basecamp for sale and everything in between. Here at Ewald’s Airstream, we understand that when it comes to finding a large selection of new and used Airstream travel trailers for sale, the process can seem never-ending. Which is why we have a team of people who are happy to answer any and all questions you may have about one of the many new and used travel trailers for sale. That includes questions about the all-new Airstream International Signature for sale. This trailer features many impressive amenities to make it into the perfect home away from home. 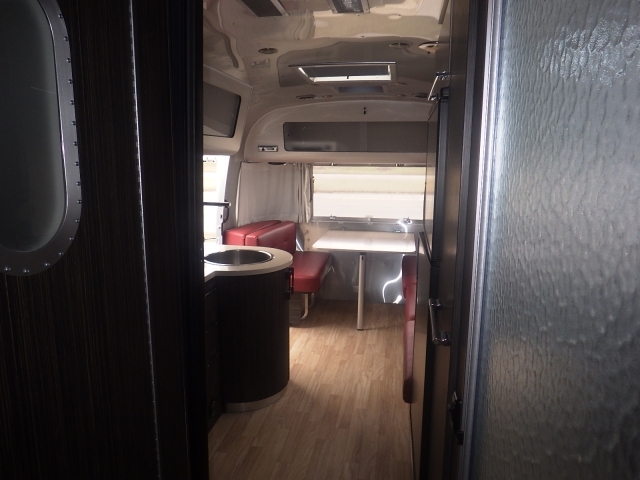 The Airstream International Signature comes with panoramic windows that allow light to stream in from every angle in this Airstream camper for sale. This camper for sale also comes with light fabrics, and wood tones that make this Airstream travel trailer for sale feel light and bright. The Airstream International Signature also comes with a galley style kitchen that makes it a breeze to prepare and cook your meals. With space savers such as a cutting board sink cover and hidden pantry space and microwave storage, cooking will be a breeze. Relax in peace in your private bedroom on your custom memory foam mattresses. Every part of the bedroom in the International Signature is designed to maximize the space while keeping it open and airy. This Airstream trailer also comes with plenty of storage space so that everything as space and there is a space for everything. Worried you will not have enough room for your guest to stay? Do not worry the dinette can quickly fold down into a bed that easily sleeps two people comfortably. Never worry about you or your kids being bored on a rainy day, because this travel trailer is full of the latest technology features. The Airstream International Signature comes with a Clarion stereo with AM/FM/Satellite radio, CD player, and Bluetooth, along with a Samsung LED HD TVs with surround sound and Blu-Ray DVD Player. You can count on the Airstream International Signature to last longer than it's bulky and heavy competitors. The Airstream International Signature was created for everyone from a first-time trailer owner to enjoy, to a veteran trailer owner and with advanced safety technology and anti-sway technology even a beginner can confidently tow this Airstream travel trailer. 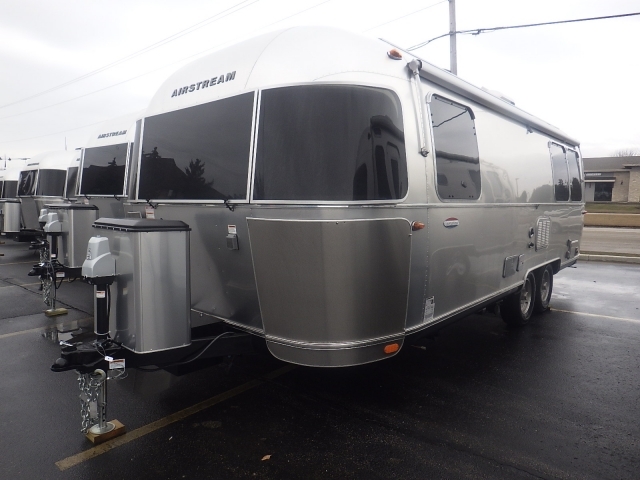 Come to your local Airstream dealer in Wisconsin and see one of the many new and used Airstream for sale including the Airstream International signature for sale. When you are looking for a large selection of Airstream campers for sale comes to Ewald’s Airstream of Wisconsin at 6269 S 108th St, Franklin, WI 53132.